The last horror game I played, under duress, was Resident Evil 7. I came close to crying and wetting myself multiple times during that traumatic experience, and yet here I am again, having spent a few nights tiptoeing around another goddamn creepy house in a horror game. Not only that, our charming editors didn’t force me to play Perception – I picked it up of my own volition. How do I keep getting myself into these situations? Perception is the first title from The Deep End Games, an independent developer formed by industry veterans of games like the BioShock series, Rock Band, Dead Space and many more. After months of research seeking out the house from her nightmares, Cassie discovers the estate at Echo Bluff, an old, abandoned mansion in Gloucester, Massachusetts. Cassie enters the mansion to find the source of her nightmares and discovers that she isn’t alone in the house. For generations, the inhabitants of the estate have been tormented by a ghastly “Presence” and now Cassie is its new prey. Cassie is blind, but able to “see” through the use of echolocation. By walking around the house, Cassie’s footsteps will light up a small area around the player. If Cassie taps her cane on the ground or on other objects, a much wider area is lit up. When Cassie is safe and calm, echolocated areas are shown as blue or green (signifying a doorway or hiding place). When Cassie is alarmed or threatened, anything blue will turn yellow escalating to red as the threat grows. Some items Cassie can pick up will trigger memories (which more or less function the way audio diaries do in every other game these days), and some will prompt her to use her smartphone to convert text to speech or contact a friendly community member to describe the scene. The evidence she collects paints a picture of what happened to the past inhabitants and why the house haunts her dreams in the present. However, it’s not as simple as wandering around the house unhindered, picking up clues and solving mysteries. The Presence doesn’t want Cassie to live…or leave. Players must carefully balance their need to see with their fear of being caught by the Presence. If you make too much noise, the Presence will begin to rasp and groan and will eventually come for you. If the Presence is on your tail, you have to hide, run, or distract it with “sound bombs” like thrown alarm clocks to draw the enemy away from her location. Cassie can also time her louder movements with ambient sounds like a chiming grandfather clock. Perception takes place over many eras and players will get to see the house retreat back to its origins and witness how it evolved over time. Throughout the decades and across generations, the house and its owners change significantly – architecture and décor evolve, entire wings and buildings come and go and alter your relationship with the space. Over time you’ll learn the layout of the house and begin to recognize familiar rooms across multiple generations, although some places will be completely new. Once you’ve discovered the source of evil in each generation, it’s Cassie’s job to right the wrong. If you’re a gigantic wuss like I am, fear not – Perception is a mere 3-5 hours long, made up of four chapters themed around specific items that Cassie encounters in her nightmares. However, if the idea of blindly walking around a near-silent house of horrors even for a few minutes sets your teeth on edge, I can personally recommend grabbing a braver person to enjoy the game with you. The first thing you’ll notice about Perception is that it’s really, really pretty. All the special effects like when you tap the cane and when roaring winds become “visible” are beautifully animated. The mansion and its countless pieces of furniture, stacks of books, and other items aren’t just thrown around haphazardly – they all appear to be very deliberately placed as though the house has actually been lived in. Even though your visuals are limited to a cool blue and black for the majority of the game, the color scheme doesn’t grow tiresome to look at over time. Focal points like doorways and hiding places being highlighted in green was a good decision, as the sparse use of this color really stands out among all the black and blue. Likewise, the change to yellow and red during threatening situations really heightens the terror you feel knowing that the Presence is actively stalking you and could appear in front of you at any moment. Almost every animation in the game is very smooth, though sometimes if the Presence is bobbing towards you it can look a little janky and goofy in its movements, which undercuts a little of the tension. Thankfully, I was too spooked when I was the one in control to really notice, however I definitely saw more of it when I was spectating. I won’t spoil the ending, but there is a spot at the very, very end of the game where I was either facing the wrong way to see it, or the Presence animation simply didn’t show up, which kind of undercut the seriousness of one of the final scenes. There are also a few rare missing animations which I assume was purely to save time or to not overload the game. For example, pulling a board off a wall in the late game only shows the board disappearing, and Cassie’s hands aren’t present in the animation at all like they are in some others. Naturally, this didn’t impact my enjoyment of the game to any great extent. There seemed to be a small bug where subtitles (which I had turned on from the beginning of the game) would sometimes not show up during the text-to-speech segments when collecting evidence. This isn’t a big deal so long as you have your volume up loud enough and no one in the room is talking. A good ambient score and carefully placed noises and voices is something that horror games absolutely have to achieve in order to be genuinely frightening. I was fairly gung-ho when I first sidled up to the mansion at the very beginning of the game, but once the sound of the snowstorm outside died away and the cold silence of the house settled in around me, I was petrified. For a long time, all you can hear are your footsteps, the sound of Cassie’s cane, and her voice as she chats to herself about what’s going on. 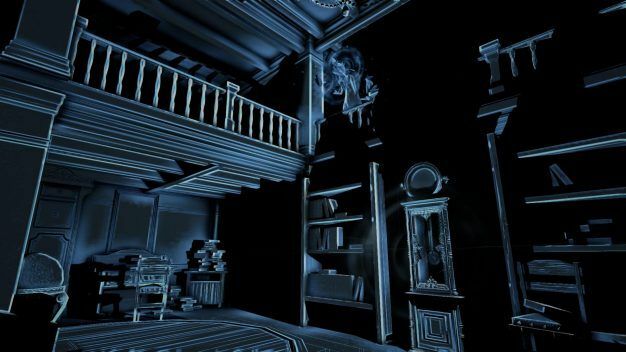 Perception hits all the right notes with its score and sound effects – every noise rings loud and clear through the silence, every ghostly voice is perfectly ethereal and far away without being too quiet, and Cassie’s lines are beautifully delivered. I also really appreciated the way that the Presence repeated the things it heard around the house, albeit in a near-robotic, buzzing kind of voice. It made the creature seem more and more empty of emotion, as though its only drive was to hurt without remorse or feeling. Additionally, hearing the raspy grumbles of the Presence when I began to shake the cane around a little too liberally really put me on edge and had me walking through the darkness for fear of inciting the house’s wrath. While it’s not entirely related to the quality of the sound and score, it did bother me that when Cassie got in contact with the Friendly Eyes app community helper on her phone, he would speak to her at length and she wouldn’t reply at all. Cassie is exceptionally chatty when talking to friends on the phone or even just wandering around the house alone, but as soon as she has the opportunity to talk about some of the things she’s photographing but can’t actually see, she clams up. This is especially strange in the later segments of the game where, predictably, she takes photos of more and more horrifying things. The helper begins to react with more and more concern and she still says nothing – it’s very strange. The developers also added the option to have Cassie stay quiet except for key plot points, which I think is an excellent addition if you truly want to ramp up the creepy atmosphere. 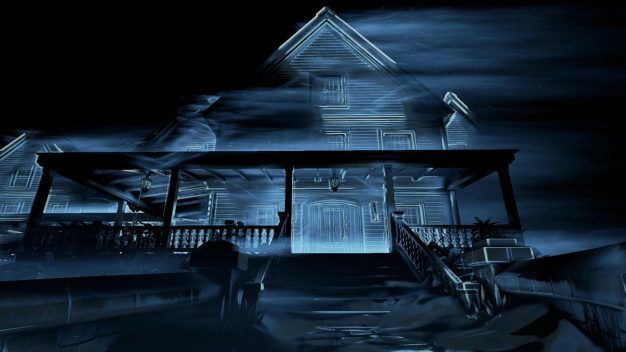 Perception‘s story is split into four chapters, each of which covers a different era and different set of inhabitants in the estate on Echo Bluff. While some similar complaints remain – seeing the Presence and being unable to grow anything on the land – the inhabitants face wildly different problems and the house twists and changes to reflect these issues. The first chapter is the longest, and at the end of it my boyfriend commented that the main gameplay mechanics of reserved tapping and exploring the house would surely come to grate on us both. However, I’m glad to say that Perception doesn’t actually overdo it on the horror aspects of the game, even though it is legitimately creepy. The threat of the Presence isn’t overwhelming and in fact there are long sections of the game where you can tap away to your heart’s content and not hear a single whisper from the Presence (I left my boyfriend to do this because I was a wuss and still not overly convinced that we were safe, at least at first). I think this is an extremely positive point in Perception’s favor, as overdoing the Presence would have made the game unbearable. Developers have to carefully balance scares, the limitations posed by the game mechanics (e.g. Cassie’s blindness), and whether the game can still be enjoyable when the two are combined. Perception is a game you could easily fit into a single evening with some friends or alone, and I think keeping it short was definitely another point in its favor. 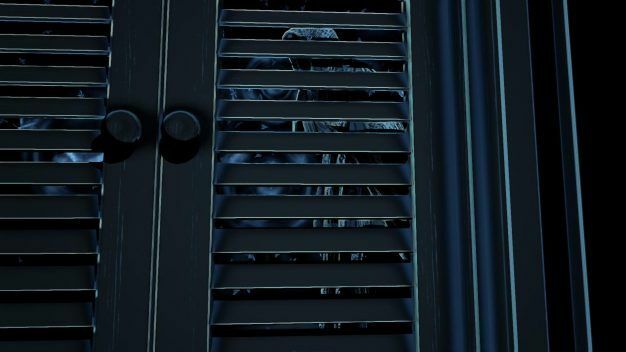 No matter how well the blindness mechanic was implemented, it surely would have grated if the game was even as long as another horror title like Until Dawn. That said, the echolocation mechanic is a really awesome, unique idea that I’ve not encountered before and I think this short indie title was the perfect place for it to shine. The storyline in each chapter is really engaging and frequently had me guessing aloud “Oh, he did it.” or “She’s a total nutbag, it was her fault.” and most of the time I was proven wrong to a certain extent. While I feel that the very ending of the game’s storyline was a little rushed in its delivery, all of the main questions were still answered (barring those that would have required more exploration – some aspects of each story are only revealed in full if you find all of the memories around the house) and I find it hard to complain too much after the rest of the story was delivered so strongly. I’m not a huge fan of horror games, that much should be abundantly clear. 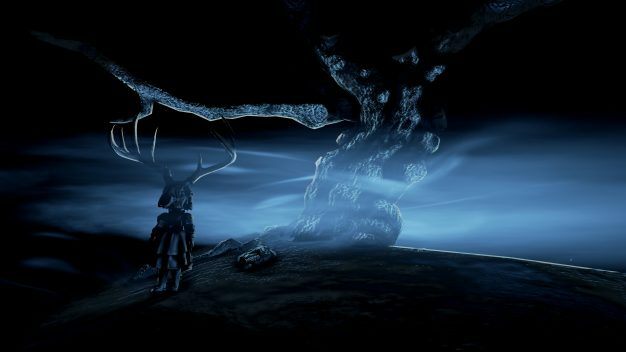 However, I would (somewhat) gladly play Perception again in a heartbeat. I don’t think I find it anywhere near as scary anymore, but I think that even replays would still hold some of the fear factor that the original playthrough had to offer. 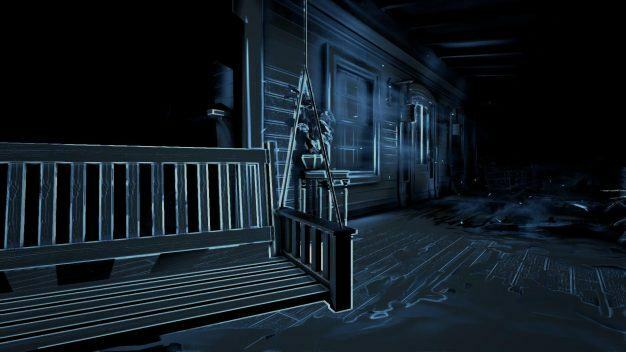 Perception moves from strength to strength, delivering a beautifully-crafted horror game that’s chilling but doesn’t overdo it on the scares. If you’re looking for a beautiful, eerie horror game that doesn’t go overboard or resort to jump scares, then this is your game.